Hi friends. Get ready for another awesome recipe. Chips and guacamole! I worked on these chips for a few days until I got them just as I wanted. It was kind of frustrating, but totally worth it in the end. As soon as the last batch was done I ate them all and never looked back. They provide the perfect crunch for all of your chip cravings! Anyways, chips and guacamole.. Pretty much the best snack for all of your Super Bowl snackin'. 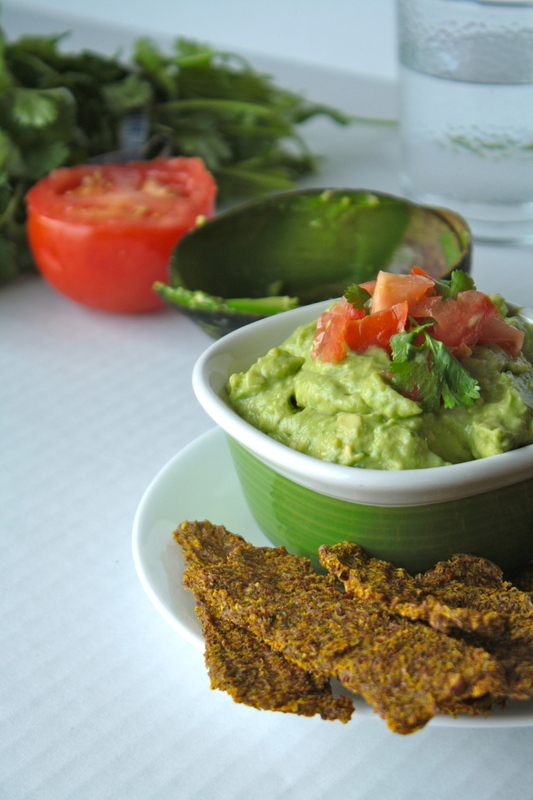 Gluten free, raw vegan; perfect for anyone and everyone who stumbles upon these! I suggest making at least two servings of this. One to eat while you get ready for your football festivities and one for the actual party. The more the merrier, right?! I thought a lot about what would be great party snacks to get you all prepared for your exciting (or not so exciting) weekend of events. 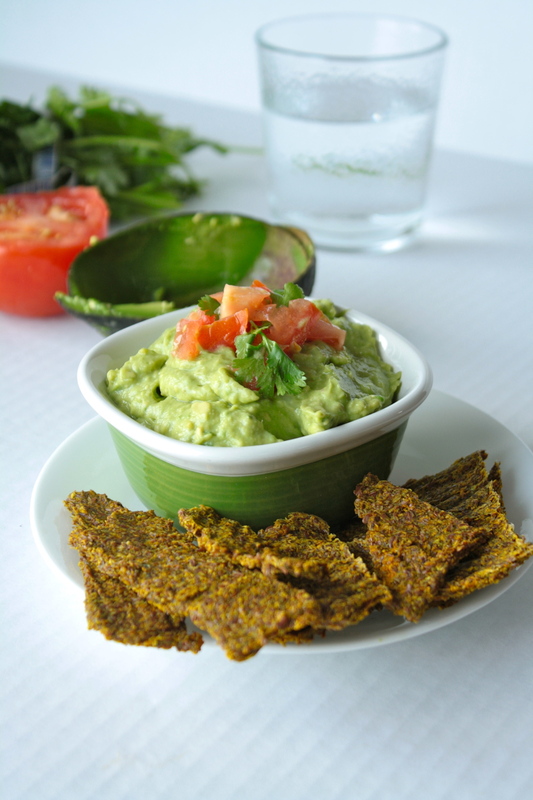 I think we can all go on about our days knowing that these crunchy chips and creamy citrus guacamole is in our near future. Actually, these chips would go perfectly with my lemon pepper hummus and this guacamole would go perfectly with my sweet potato fries. Go for both, mix and match 'em! When I made this to photograph I think I did it in record time. All because I couldn't wait to dig in. I had the chips all gone yesterday and I finished the guacamole off today while browsing various craft sites and catching up on Ellen. Things get pretty exciting around here. Plus, I've been feeling crafty lately, so prepare yourselves for a craft post in February! So exciting, right? But before that I'll be on my way back to NYC in two days and I am SO EXCITED. I can't wait to share all of the crazy good food that I'll be eating in the next few days. Get excited for that too, okay!? Lots of exciting things, but until then; let's eat! Combine all ingredients together and let sit for 20 minutes to thicken. Pour onto parchment paper and dehydrate for 4-5 hours. (If you don't have a dehydrator you can set your oven to it's lowest temperature and bake) Remove from dehydrator and break apart to make your chips. Combine all ingredients into blender and pulse for 10-15 seconds. Do not overmix. Remove from blender and serve immediately; topping with tomatoes if desired.